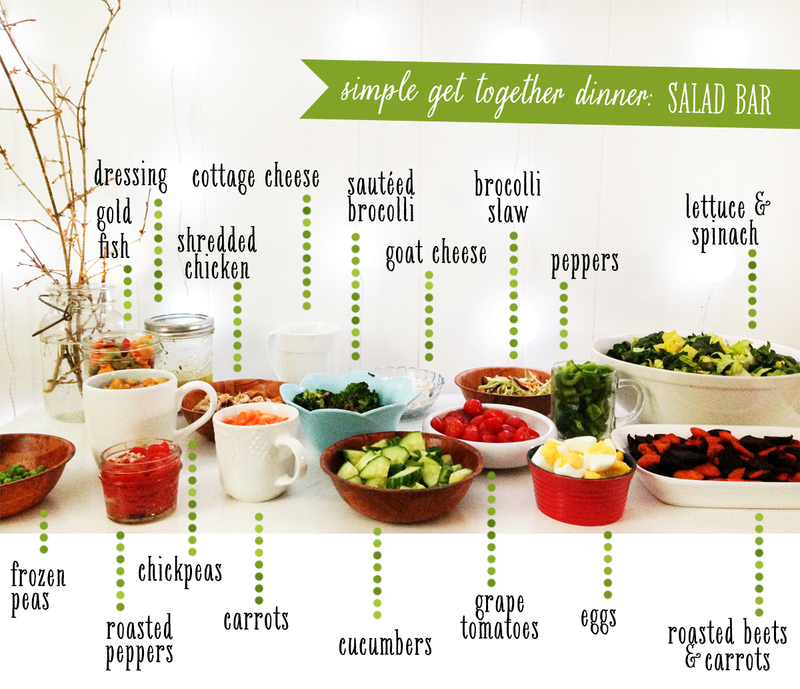 saturday my sisters and nieces came over for dinner, so i pulled together a salad bar. the first one we made was for my sisters birthday last summer. her girls wanted to throw her a little party. i asked what her favorite food was and they said salad. not sure if it is really her favorite food, but we went with it. i made a salad bar and they were in charge of decorations. it was a hit and now i wish one set up in my kitchen all of the time. 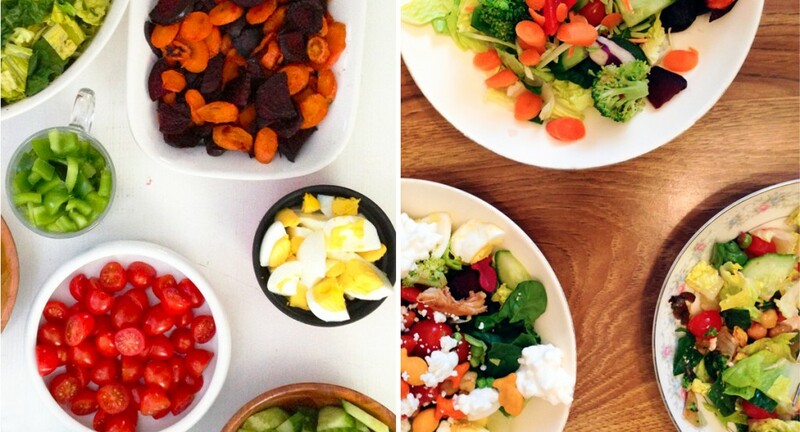 this salad bar came together easily. i made some simple pizzas to go with it, so while the dough was rising and sauce was simmering i got to chopping. the beets and carrots were roasted, chickpeas were cooked with a bit of olive oil and seasoning, broccoli was sautéed with onions & garlic and the rest was cut up or just placed in a serving dish. if more people were coming i would have used these for labeling the dishes. there was more than enough food. after we ate, my niece made my mom and dad salads for delivery (since they have new puppies and couldn’t join us), then my sisters each took some to go. everything else was dumped into the lettuce bowl and now i have lunch for days. the possibilities are endless. if you’re feeling extra creative you can go with a theme. maybe italian and along with the basics include mozzarella, cured meats, tomatoes and basil, onions, olives & garlic bread croutons. or southwest with ground beef or bbq shredded chicken, salsa, avocado, corn, jalapeños, black beans, cheddar cheese & tortilla strips.